Has there ever been a more polarizing figure in Rock & Roll than Morrissey? People love him and hate him in equal measure. For more than 30 years, first with the Smiths and then as a solo artist, he has challenged conventions and courted controversy. He is arguably one of the most important figures in Indie Rock. 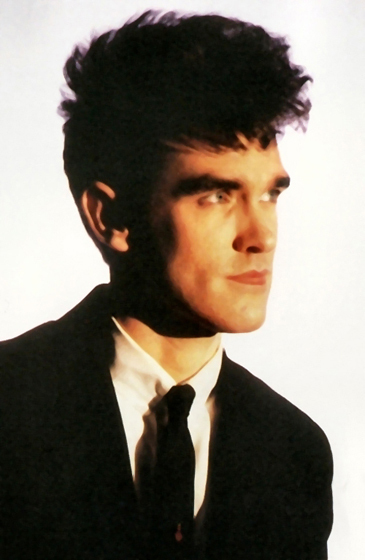 Steven Patrick Morrissey was born in 1959, in Lancashire England, to Irish Catholic parents. He spent his formative years in Manchester. Growing up, he worshiped Pop singers like Sandie Shaw and Marianne Faithfull. As a teen he was as obsessed with British “Kitchen Sink Dramas” as he was with James Dean and Oscar Wilde. He was athletic, but bookish at the same time. Morrissey was a quick convert to Punk Rock. Two of his earliest bands were the Nosebleeds (featuring Billy Duffy, who went on to fame as the guitarist for the Cult), and Slaughter & The Dogs. He also found time to publish three books, “The New York Dolls,” about his favorite band, “James Dean Is Not Dead,” about Dean’s brief movie career and “Exit Smiling” a treatise on obscure B-movie actors. In 1982 Morrissey met guitarist Johnny Marr. They began writing songs together. Recruiting bassist Andy Rourke and drummer Mike Joyce they became the Smiths. By 1984 they had released their eponymous debut. Their sound was exhilarating. Marr’s buoyant melodies and jangly Rickenbacker riffs provided ballast for Morrissey’s Byronic flights of fancy. His demeanor was Post-Punk provocateur. 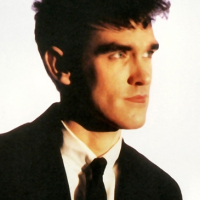 Morrissey was a self- proclaimed “celibate homosexual,” and militant vegetarian. His lyrics tackled themes of loneliness and alienation, sometimes displaying black humor and a mordant sensibility. His vocal style would boomerang from crooning to keening to yodeling, (sometimes in the same song). The Smiths achieved massive popularity in England and garnered a healthy following in America, (despite minimal airplay on MTV or commercial radio.) The band only released four albums, plus a plethora of singles in the 80s, but along with U2 and R.E.M., they became one of the most influential bands of the decade. His second effort, Bona Drag wasn’t really a full-fledged record. It was more a collection of odds and sods. “Kill Uncle” arrived in 1991. It was commercially successful, but felt slightly over-cooked. Morrissey really found his footing on his fourth outing, 1992’s Your Arsenal. Teaming up with singer-guitarist Alain Whyte and ex-Polecats guitarist, Boz Boorer, Morrissey finally found collaborators as challenging as Johnny Marr. Produced by ex-David Bowie guitarist, Mick Ronson, the album was a heady brew of Glam and Rockabilly. The rest of Morrissey’s ‘90s output was hit and miss. Vauxhall And I released in 1994, felt funereal. 1995’s Southpaw Grammar was a weird excursion into Prog Rock, while 1997’s Maladjusted vacillated between torch songs and truculence. 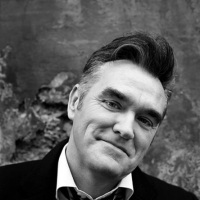 Morrissey took a seven year hiatus from recording. He re-surfaced in 2004 with his most assured effort, You Are The Quarry. Two years later he returned with the tepid Ringleader Of The Tormentors, but he bounced back in 2009 with his Punkiest album to date, Years Of Refusal. 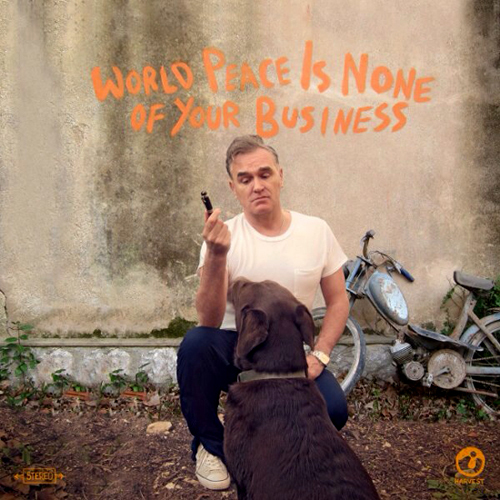 Now Morrissey has returned with his 10th solo album, World Peace Is None Of Your Business. The title track kicks the album into gear. Clickity percussion gives way to a tribal tom-tom beat before downshifting into a scabrous lullaby. Morrissey offers up his usual didactic condescension… “World peace is none of your business, so will you kindly keep your nose out/ The rich must profit and get richer and the poor must stay poor/Each time you vote you support the process.” Suddenly the tempo shifts again into a jackboot anvil chorus over skitter guitars. 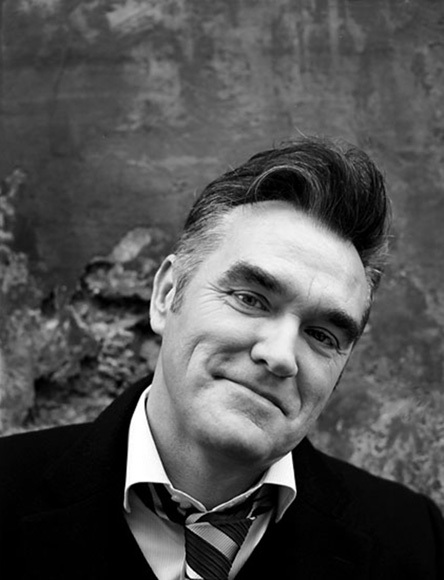 Morrissey displays his patented sardonic wit on two tracks, “Neal Cassidy Drops Dead” and “The Bullfighter Dies.” The former opens with sonic blasts of guitar as Morrissey somberly re-imagines the death of a Beat Generation iconoclast: “Neal Cassidy drops dead and Allen Ginsberg’s tears shampoo his beard.” The pulsing, morse-code guitar riffs give way to sweet Flamenco flourishes over an extended instrumental coda. Four tracks, “Istanbul,” “Earth Is The Lonliest Place,” “Staircase At The University” and “Kiss Me Alot”showcase Morrissey’s peerless facility for blending the sweet and the sour. On “Istanbul,” the guitars are so Glam-tastic they threaten to send listeners into paroxysms of T-Rextacy! Over a chunky backbeat, Morrissey unspools a cryptic tale of death and abduction in an exotic locale. On “Staircase…” the infectious tune is powered by see-saw synths, a pounding beat and soaring guitar. Morrissey paints a grim portrait of peer, parental and academic pressure. “March, April May, she crammed night and day, I hadn’t seen her in a while/Staircase at the university, She threw herself down and her head split three ways.” Rippling Spanish arpeggios undercut this devastating tableau. Finally, “Kiss Me A lot,” seems wildly uncharacteristic. Morrissey must be talking to his cat or rabbit. (Certainly not an inhumane human). This unabashed love song is awash in flatulent synth horns, gamboling guitars and twinkly percussion. Morrissey repeatedly instructs (the rabbit) to “Kiss me a lot, kiss me all over my face, kiss me all over the place/And when you’ve kissed me, kiss me all over again. Sheesh, next time maybe cut the Prozac in half. Not every song works. “Smiler With A Knife” and “Mount Joy” suffer from “all-verse-no-chorus” syndrome. “I’m Not A Man” opens with a minute and a half of ambient noise before really beginning. As the track simmers, Morrissey recites a predictable and pedantic litany of what it means to be a man. The album closes with the saturnine “Oboe Concerto.” Over sinuous synths and slithery bass lines, Morrissey is dour and despondent. “All I do is drink to absent friends, and there’s a song I can’t stand and it’s stuck in my head.” A rather doleful way to end an uneven effort. Morrissey is surrounded by crack musicians. Leading the pack are guitarists Boz Boorer and Jesse Tobias. Solomon Lee Walker handles bass, Matthew Ira Walker is on drums and percussion and Gustavo Manzur tackles keys, synths, trumpet, accordion, Flamenco guitar, Q-chord and didgeridoo! Morrissey’s casual misanthropy was interesting during his Smiths heyday and the beginning of his solo career, but 30 years on, it becomes a little grating. His views on vegetarianism, animal activism and pansexuality are well known. World Peace Is None Of Your Business has moments of greatness and moments of sheer tedium. Is it wrong to expect more?